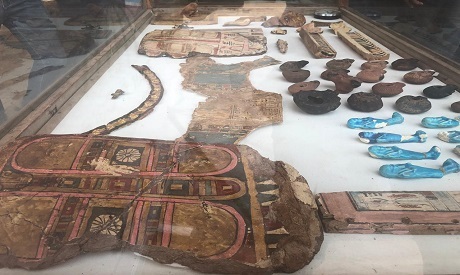 An exceptionally well-painted Ptolemaic-era tomb of a nobleman called Toutou and his wife, a musician, was discovered at Al-Dayabat archaeological site in Sohag governorate on Friday. 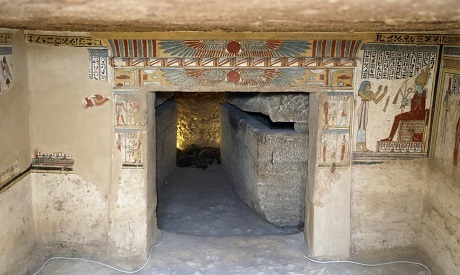 The tomb was accidentally discovered when the Tourism and Antiquities Police arrested a gang who were carrying out illegal excavations in an area near the Al-Dayabat archaeological mound. 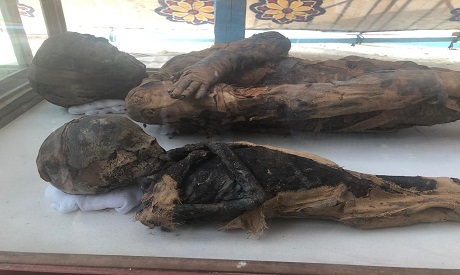 After the completion of investigations, the Ministry of Antiquities assigned a scientific archaeological mission, led by Mostafa Waziri, secretary-general of the Supreme Council of Antiquities, to start excavations of the tomb. 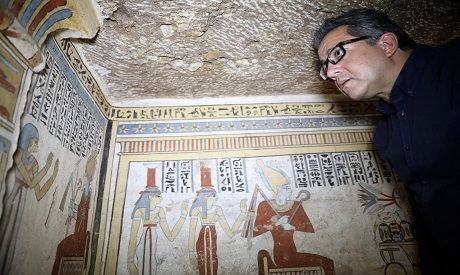 “Although it is a very small tomb from the Ptolemaic period, It is exceptionally painted with beautiful scenes,” said Waziri. 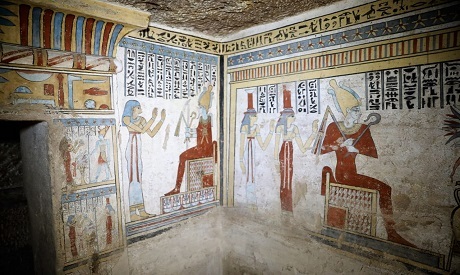 The tomb consists of two tiny rooms containing two limestone sarcophagi, as well as a very-well preserved mummy that has not been identified yet. 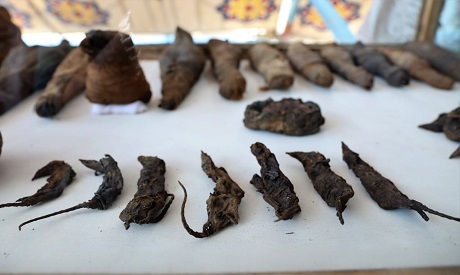 A number of mummified animals and birds were also found in the tomb, including falcons, eagles, cats, dogs and shrews. 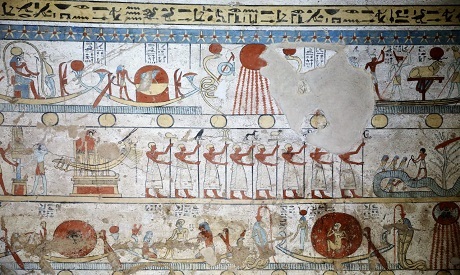 Waziri said that shrews can see very well at night, and ancient Egyptians believed they could cure blindness. 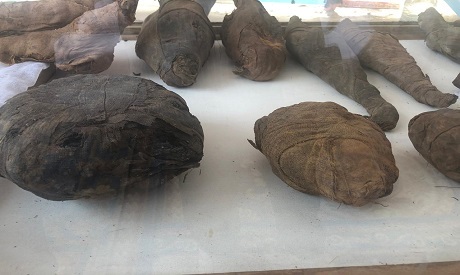 He said the mummified shrews are in good condition.